BlackOut Design and Johnson College continue to strengthen this successful relationship. 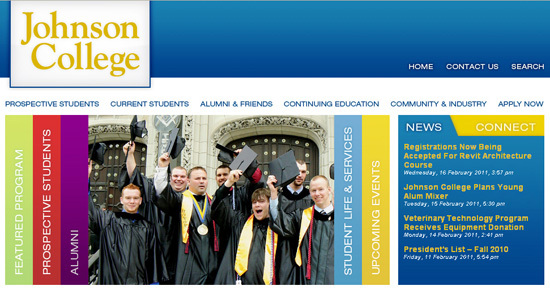 We were thrilled to work with Johnson College to create the website of their dreams! It proved to be a wonderful and educational experience to ensure inclusion of the various elements that are necessary for a college website. We believe that the talent of our design and management teams have created a website with color and aesthetic appeal as well as ease of use for the students, parents, faculty and staff involved with Johnson College. View our most recent work to explore the many benefits that Johnson College has to offer and to see the newest innovations that BlackOut Design has implemented.